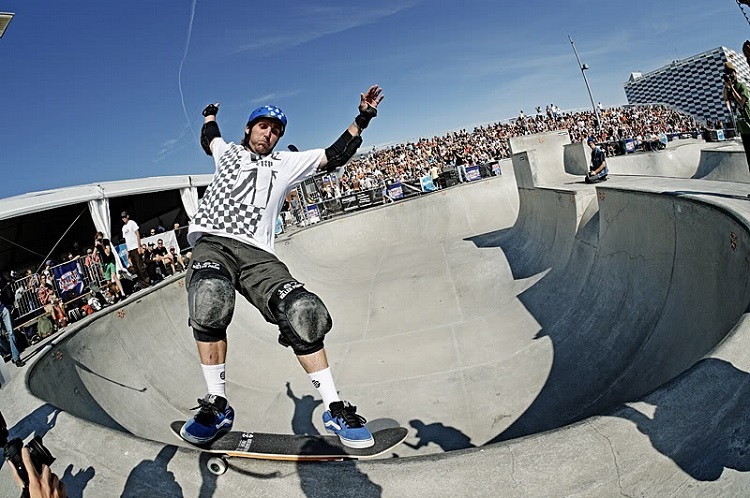 Though usually connected with teenagers, skateboarding is more than just the outdoor activity of young adults in search for adrenaline rush situations. Skateboarding knows no age, both kids and grown ups alike share the same passion, and that’s what makes it popular to this day. What appeared in the 1950s as the alternative for surfers to practice when not conquering actual waves, quickly became the preferred outdoor activity for many. While many think its days of glory are long gone, because of all the ups and downs over the years, skateboarding is still here winning the hearts of all generations. Who hasn’t heard of skateboarders like Guy Mariano, in his 40s, and Lance Mountain in his 50s, still cruising through streets on wheels? The reason skateboarding has grown to such a beloved hobby worldwide is because it offers the chance to improve your skills, have the patience as you improve and learn along the way exactly what you’re made of, constantly breaking more boundaries. While it’s considered a dangerous, sort of extreme activity, it isn’t so when you wear the adequate protective skateboard pads and helmet. It’s not just important to protect your knees but ankles, elbows, and wrists as well, considering those painful slams and grazes. Along with the adequate skateboard pads and helmet, it’s crucial to wear the adequate clothing as well, and with the vast choices of specialised skateboarding shops you can buy from, both in store and online alike, you can find just what you need having in mind most of these shops are run by actual skateboarders. As many skateboarders say, when you start skateboarding there’s never going back, and the proof for this is their ability to look at architecture with different eyes, trying to find the ideal spots for skateboarding whenever out and about. The great thing about skateboarding is there’s no right or wrong way to do it, there are plenty of skating styles to choose from. Another proof skateboarding is as popular as ever is the constant upgrade in the design of skateboards and their wheels, something that began back in 1972 by Frank Nasworthy who upgraded wheels to urethane. What the dream team Zephyr showed in the late 1970s that skateboarding can be a sport same as other sports, continues to this day and the proof for this is the fact skateboarding is set to be a part of the 2020 Olympics in Tokyo. It’s needless to say this sport is already ingrained in our society, and every day we are more convinced of it. Though there are people who see danger and oppose it, like the citizens of Russell, there are those who level it up. The example for the latter would be the Detroit Fisher building getting a mini-ramp in the middle meant to provide skateboarders with the opportunity to skate inside. Taking all this into account, one thing is for sure; despite all the ups and downs, skateboarding is here to stay and its popularity certainly won’t wane with time.